The 54 Series timer is a totally pneumatic device with ± 1% repeatability. Timing is fully adjustable throughout the timing range by a knob on the front dial face. 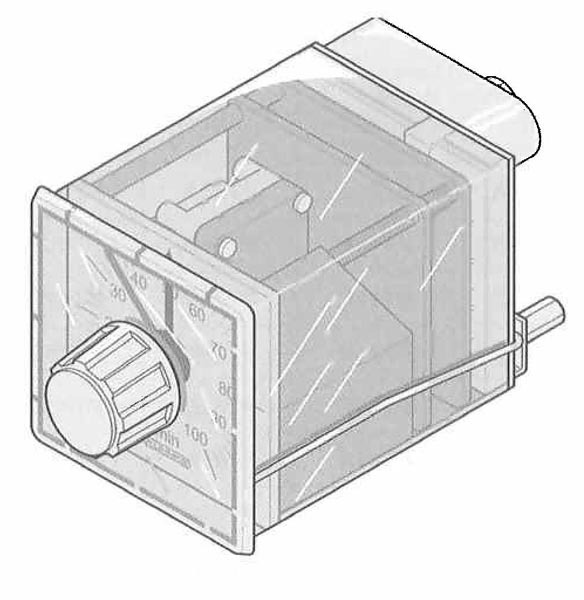 The standard timer is equipped with a special 4 way valve which provides for on or off delay timing (depending on plumbing connections). The front dial displays set time and the time remaining in the cycle. 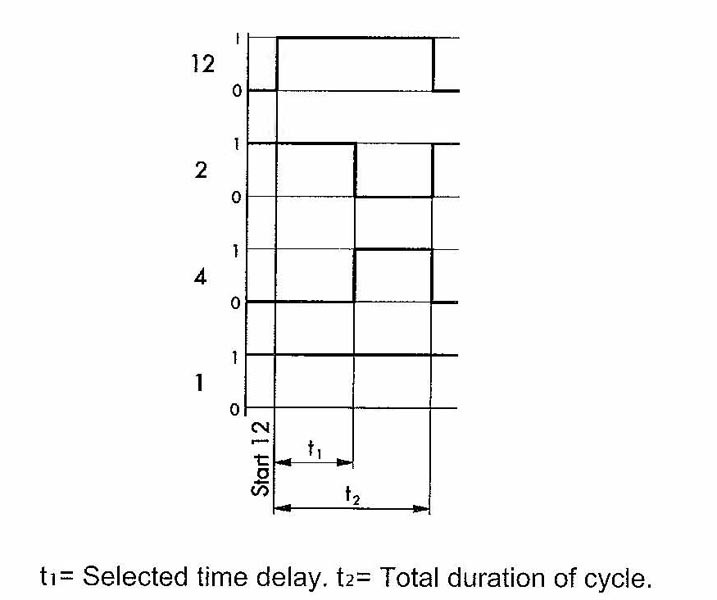 The operation of the timer depends on the input of a separate control signal. The control signal drives a regulated air motor and gear chain to provide accurate timing regardless of control air pressure fluctuation. The timer resets automatically (approx. 200 ms) after removal of control pressure signal. A special version of the timer includes a rotor stop option which allows for an external valve to be added to permit a "count down on hold" function. The 54 Series timer is self-contained in a panel mounted lexan case with a front timing adjustment knob. Connections are made at the rear of the timer. Spring clips are used to panel mount the unit.